Let’s Play The First Tree on Xbox One – Full Walkthrough! One of the most interesting games to have hit our consoles in recent weeks is that of The First Tree. And so we thought it would be great to run a Let’s Play video taking in the entire experience with a full walkthrough of The First Tree on Xbox One. 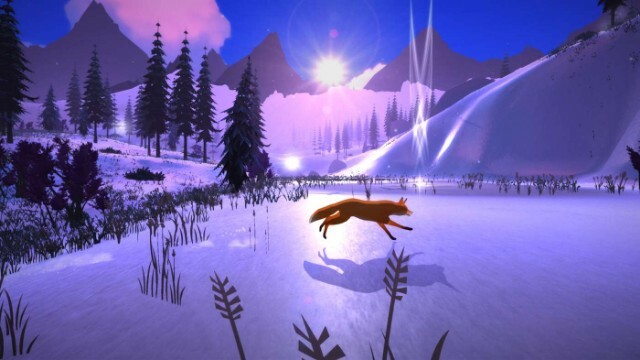 Created by one man as an outlet for his thoughts, the combination of simple but precise visuals, stunning story-telling and the chance to live out the life of a fox may well be able to bring a lovely indie experience in The First Tree. And whilst our full review will be with you any day now, it’s always nice to be able to take in the story as it unfolds… and that is where Gareth – our resident Jackanory narrator – comes in to play. Well known for his lack of gaming skills but sheer love for the gaming industry as a whole, watch the three videos below as Gareth takes us on a full walkthrough of The First Tree on Xbox One. From his first sighting of a fox cub, to death-defying leaps across canyons, and on to the final throes of the tale delivered, grab yourself a cup of tea and kick back for a little relax as Gareth helps deliver this lovely little tale. As always, if you like the videos below and want to see more of these then please give us a thumbs up, a like and a subscribe. Further still, stick your notification bell on and you’ll be among the first to be able to witness future playthroughs of some of the most exciting games to hit Xbox One. You never know, we may also run a little giveaway or two as we go.